Care Bears and Cousins has been picked up for a 2nd Season and it premieres exclusively on Netflix February 5, 2016! The whole huggable gang is back, bringing tales of caring and sharing to a new generation. This time around with the Care Bear Cousins here to join the fun! 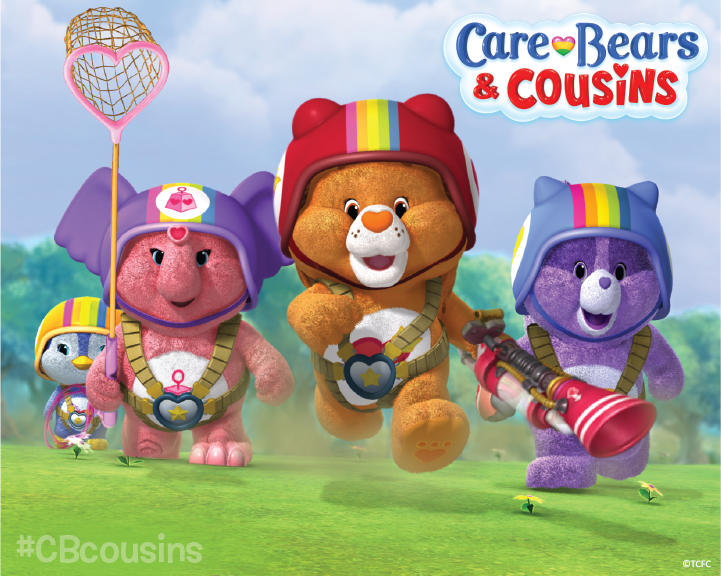 Care Bears and Cousins is a CGI-animated series from American Greetings Entertainment, with each Care Bears and Cousin having a unique personality and a special power marked by their belly badge. Care Bears and Cousins is a series about the same classic bears I once enjoyed as a child: Grumpy, Cheer, Wonder, Share, Tender, Harmony, and Funshine. And many of you might not remember their Cousins which later appeared in the show. The cousins were a variety of animals similar to the Care Bears and include: Brave Heart Lion, Bright Heart Raccoon (my personal fave), Cozy Heart Penguin, and Lotsa Heart Elephant. Wow, I remember Care Bears from the 80s (I was an adult then, watching with toddler cousins, lol.) I even had a Grumpy Bear!